A conventional loan is a loan backed by either Fannie Mae or Freddie Mac, the two entities which comprise the Federal Housing Finance Agency (FHFA). More than half of all new mortgage loans are conventional loans. It can be used to finance all different types of residential properties. Down payments generally range from 3% -20% of the purchase price. Conventional loans tend to have cheaper mortgage insurance than any other loan program! The loan generally requires some form of mortgage insurance if the down payment is less than 20 percent. A conventional loan caters to those who have more money to put down & great credit scores. Conventional loans can be offered in 30-year, 25-year, 20-year, and even 15-year options. When choosing a mortgage you can opt between a fixed rate or an adjustable rate. A fixed rate mortgage never changes the interest rate during the life of the loan, whereas an adjustable rate can raise or lower depending on average interest rates at the time. Conventional Mortgages can also be categorized as conforming or non-conforming. If a loan falls under the underwriting requirements set forth by the government-sponsored entities Fannie Mae and Freddie Mac, it is deemed a conforming loan. If a loan does not meet all these requirements, it is considered a non-conforming loan. The most common way to determine whether you should do a conventional or jumbo mortgage is to be aware of the loan amounts. As of 2019, a mortgage with a loan amount below $484,350 is generally considered conforming, whereas any loan amount above $484,350 is considered nonconforming, better known as a Jumbo Mortgage. Conforming limits tend to vary depending on the area of the country. Jumbo Mortgages can sometimes have stricter requirements because they carry greater risk. We have done a couple of mortgage with The Staples Group now because the experience has been very enjoyable. We had worked with another lender in our first home purchase and were pleasantly surprised at how low the Staple Group rates were just how much they communicated with us during the process! When spending so much money it was nice to always know what was going on. 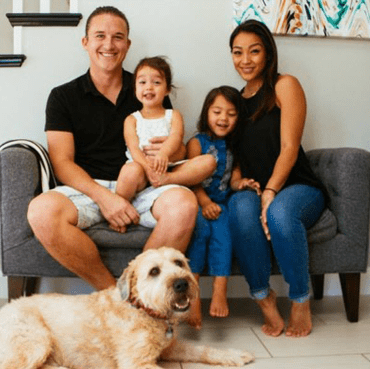 After doing an FHA loan for our first home purchase, we opted for a conventional mortgage in our most recent transaction because we were able to come up with 20% down and avoid mortgage insurance entirely! It feels great to not pay mortgage insurance anymore!